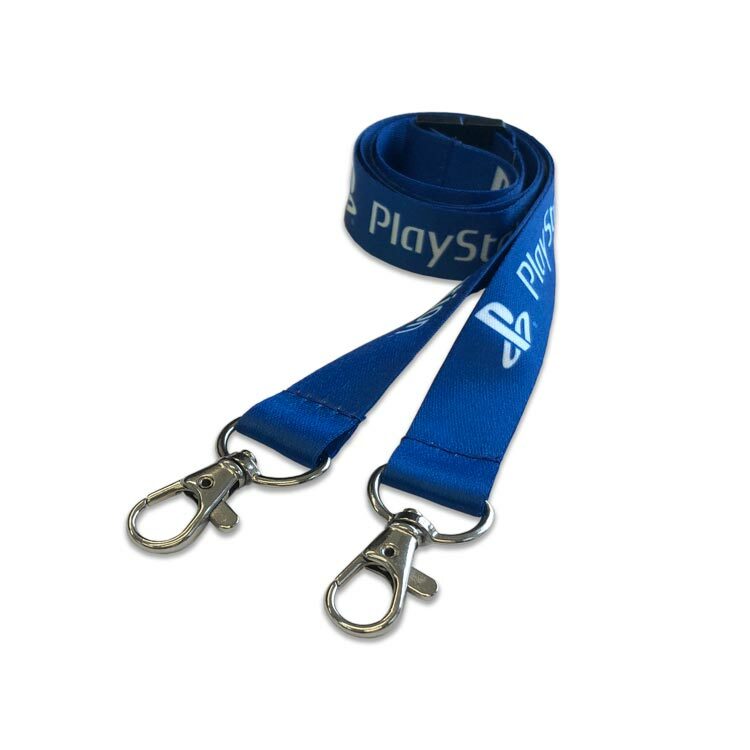 ^Pricing shown is for a one sided full colour print lanyard, fitted with two metal trigger clips and safety break All Prices exclude VAT and Postage. A customised double clip heat transfer lanyard (or full colour lanyard) is a fabulous high-spec lanyard as the heat transfer printing process allows designs with colour gradients or even full colour photos to be reproduced. Full colour double clip heat transfer lanyards are prefectly suited to conferences or other events where a pass needs to be always forward facing.